When it comes to menswear, the terms semi-formal and formal are easily confused. 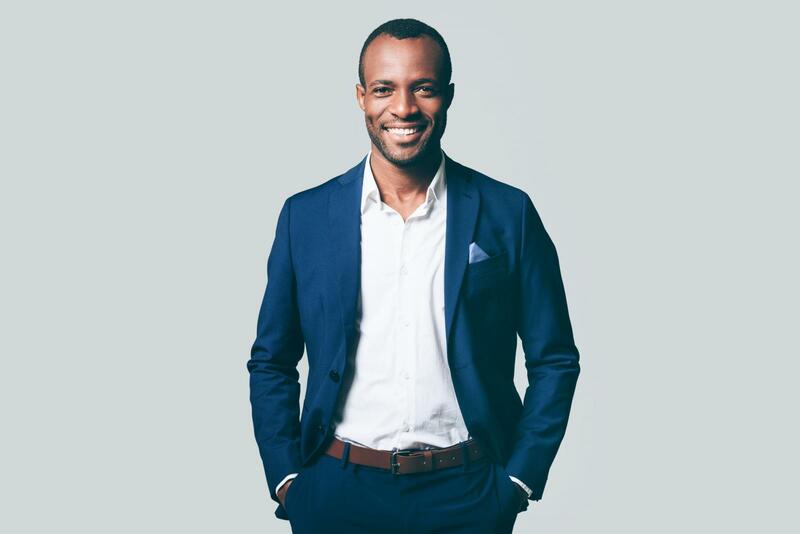 Formal attire for men typically refers to both white tie and black-tie dress codes, whereas semi-formal is slightly more relaxed. It is often the preferred dress code for weddings and evening events, as well as some daytime occasions. 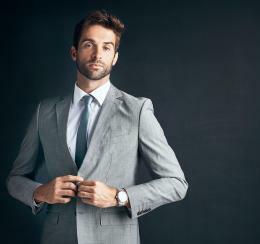 For men, getting ready for an event that calls for semi-formal attire involves dressing up in a sophisticated manner. There's a general color scheme based on the timing of a semi-formal event. For example, if your special occasion is in the evening and you want to play it safe, opt for a dark suit in midnight-blue or dark charcoal with a white shirt. You can always inject a pop of color through a bright yet demure tie. Not sure how to accessorize? A leather belt is practical and looks smart when worn with pants, but you can coordinate the hue with your shoes to pull together your look. In terms of footwear, stick to dress shoes like derbys or oxfords for an upmarket, polished aesthetic. Try to steer clear of classic black suits or tuxedos as these options are more appropriate for formal affairs. If you're heading to a daytime event, lighter suits in cream, light gray or tan are perfectly acceptable as semi-formal attire. You can coordinate your suit with a contrasting shirt and a matching tie for a timeless yet modern look. Try to keep your accessories to a minimum and opt for classic dress shoes. If you want to add further interest to your outfit, opt for a stylish yet elegant pocket square or wristwatch. Is your semi-formal event somewhat relaxed? Feel free to ditch your tie and simply go for a more relaxed-style suit. 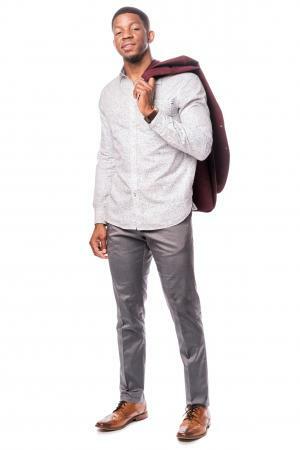 Instead of suit pants, choose sleek chinos in a classic hue like black, navy, white, grey, or beige. Similarly, swap your suit jacket for a sharp blazer in a high-quality fabric. As long as each piece in your outfit is tailored, you won't go far wrong. In terms of footwear, try brogues, monk straps, or loafers to create an effortless yet refined appearance. Put a unique spin on the traditional semi-formal attire by experimenting with color. It's important not to choose anything too loud, as this goes against the standard semi-formal dress code. 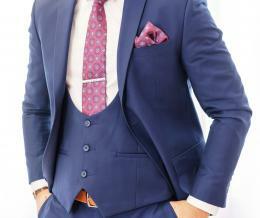 However, you can try out different hued suit combinations based on the latest seasonal trends. Whether it's forest green, lavender purple, powder blue, coral, or burgundy red, you're sure to stand out for all the right reasons. 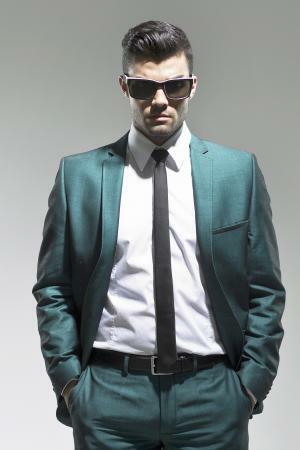 Alternatively, you might choose to keep your suit color simple for your daytime or reasonably casual semi-formal affair. However, you can then add a dash to texture and color with a printed shirt to make a serious style statement. Let your print truly take center stage by keeping your accessories minimal. If you're feeling brave and want to put a contemporary take on the more casual semi-formal look, try mixing and matching your suit pieces. Opt to coordinate a different color jacket with your pants, then tie everything together through accessories. For instance, this light grey suit pants and white shirt combo epitomizes classic cool. Then the rich tone of the burgundy suit jacket coordinates seamlessly with the tan shoes for an edgy, fashion-forward twist. If you want to adhere to the semi-formal dress code of your event but create visual intrigue to your outfit, consider utilizing playful accessories. Quirky prints aren't generally accepted as semi-formal attire for men through clothing separates, though you can get away with a cute printed pocket square or tie for a fun and youthful vibe. Traditional and subtle patterns include checks, stripes, and paisley. Occasion - It depends what the occasion is as to whether the dress code is strict or more relaxed. If you're struggling with how casual or formal to dress, simply ask the host to advise you. Time of day - Always stick to the general rule of darker suit colors at night and lighter colors in the daytime. You can mix them up if appropriate for more casual affairs. Your personal style - If your tastes are sharp and timeless, then don't wear a bold printed shirt as you probably won't feel comfortable in it. It'll be the same situation if your style is more fun and you force yourself into a one-dimensional suit. Follow the rules of semi-formal attire, but make sure to reflect your personality at the same time. Conforming to the semi-formal dress code for men is simple and straightforward once you know. Make sure that you try on different options to find out what works for you and your body shape. However, above all, choose an outfit that allows you to exude confidence. You're sure to be the best-dressed guest at the event!